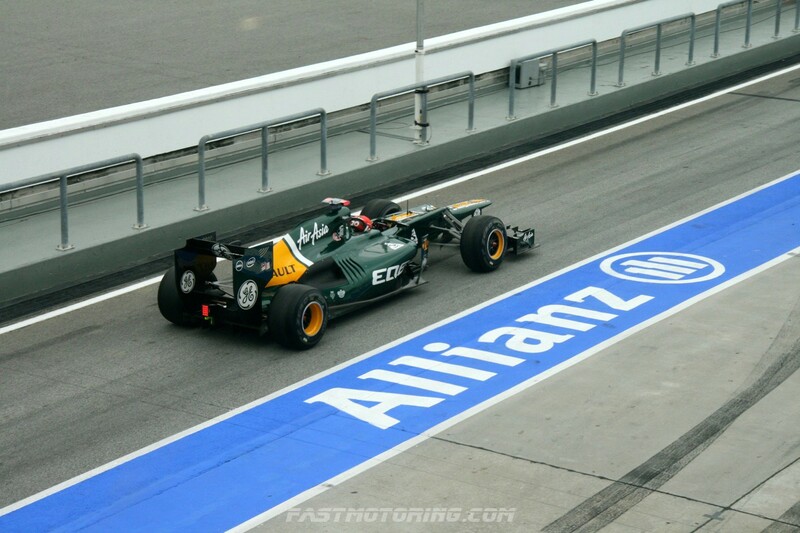 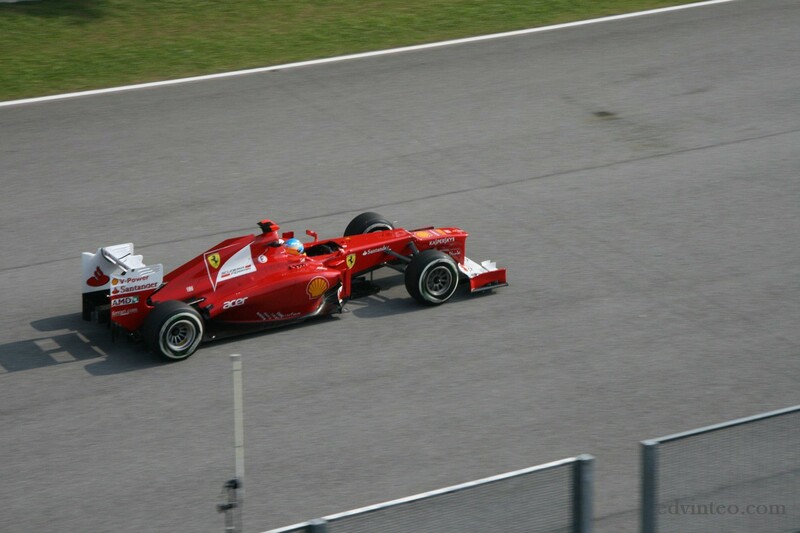 Today, I have a pit lane walk session and have a close up view to all F1 cars. 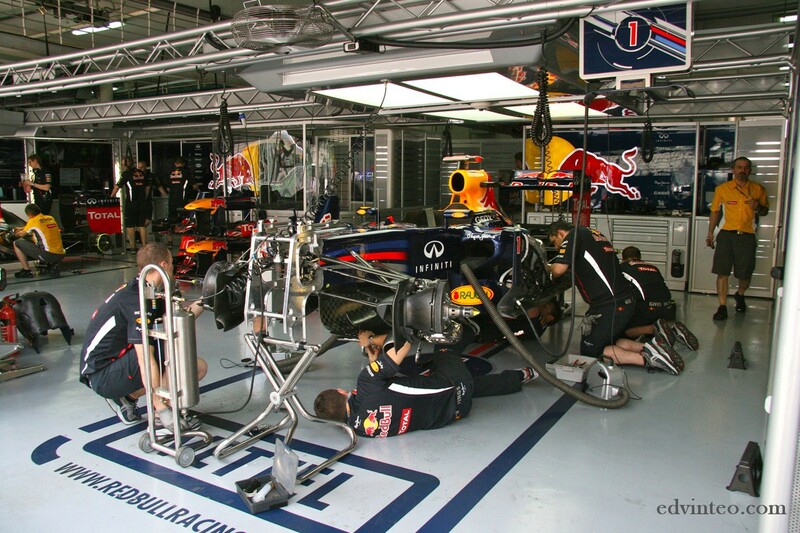 The experience is excellent and a special thanks to Infiniti and Red Bull Racing. 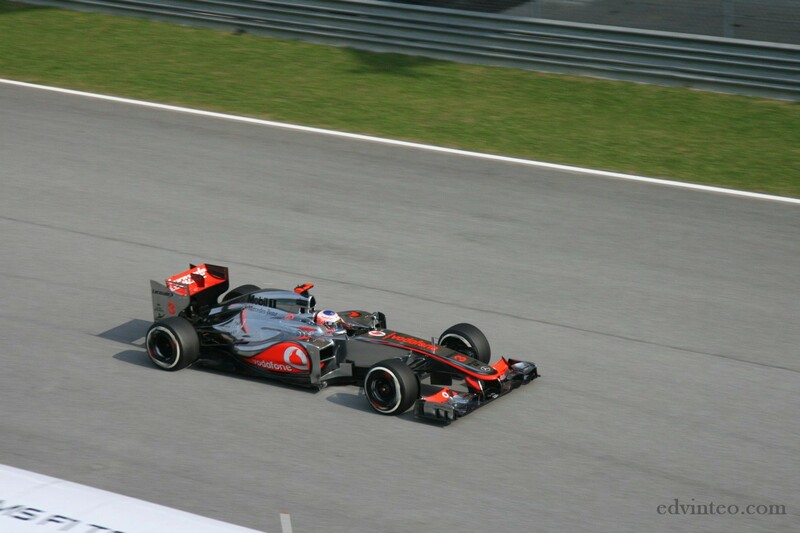 The qualifying of Malaysian Grand Prix has concluded with front row lockout for McLaren-Mercedes. 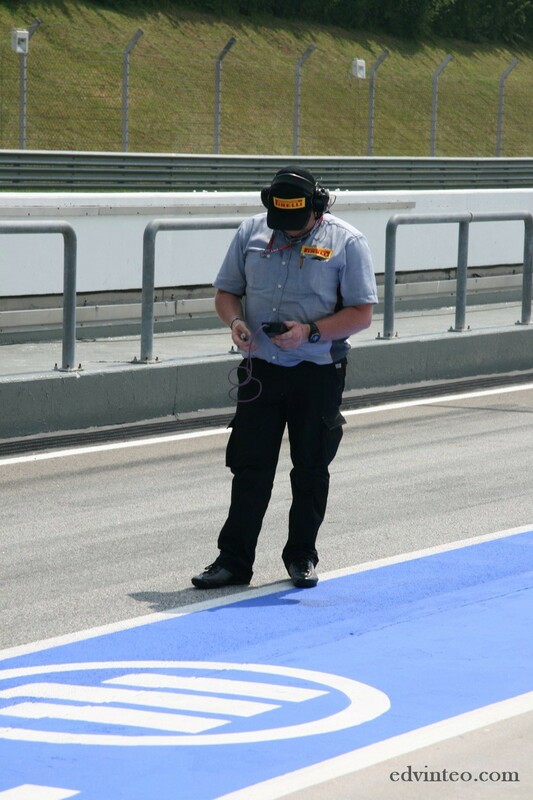 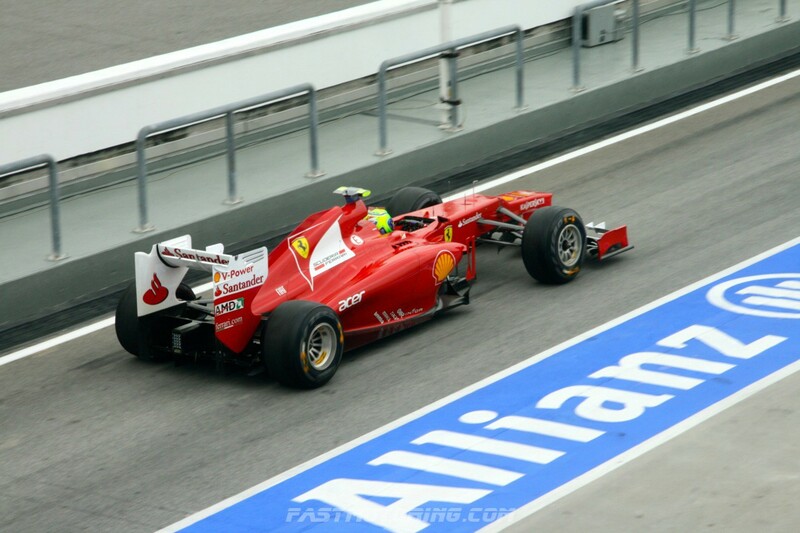 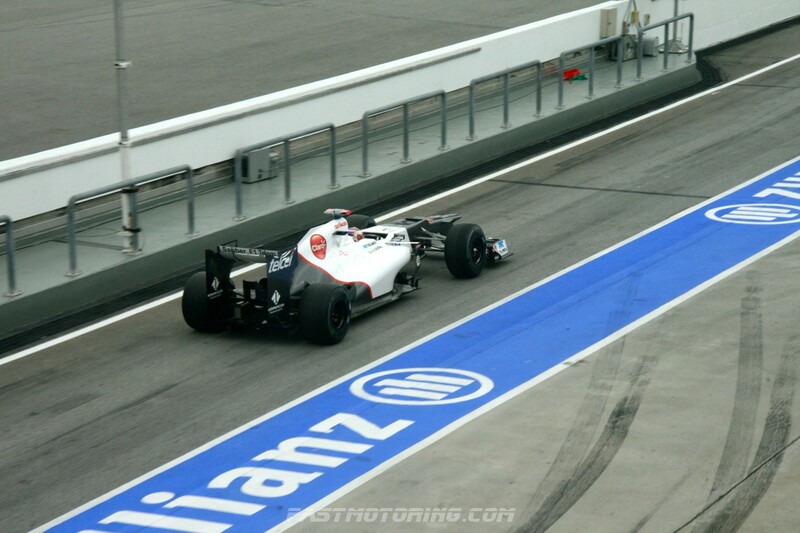 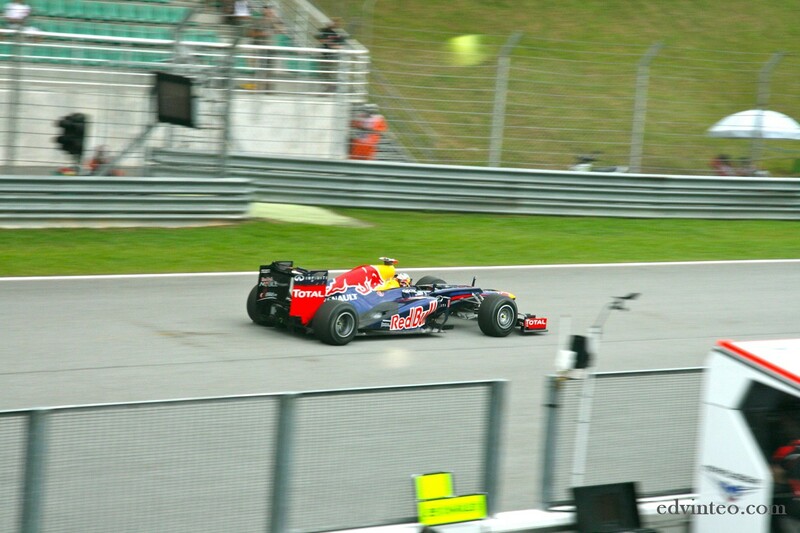 The atmosphere of 2012 Malaysian GP in Sepang was impressive. 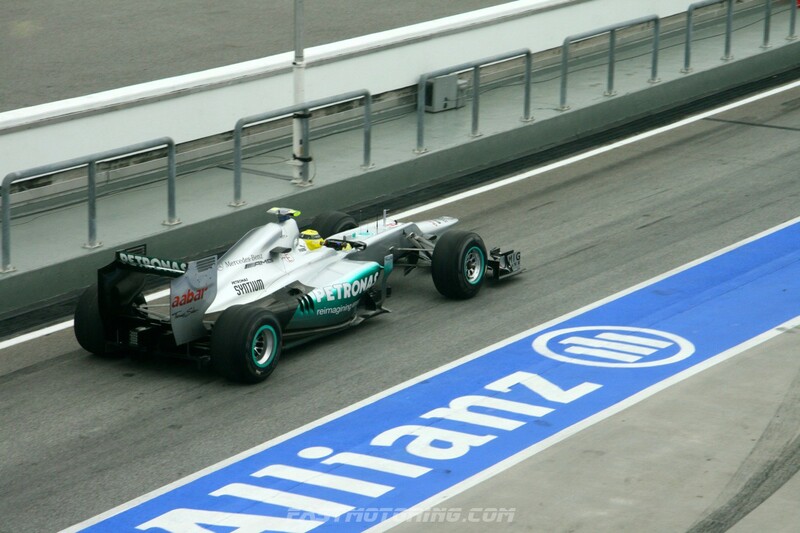 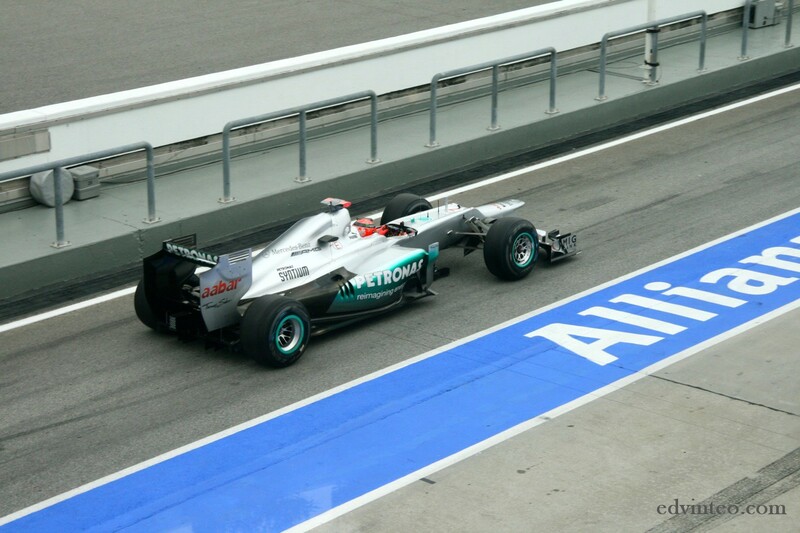 Lewis Hamilton took his first Malaysian GP pole position, his teammate – Jenson Button second, Michael Schumacher third. 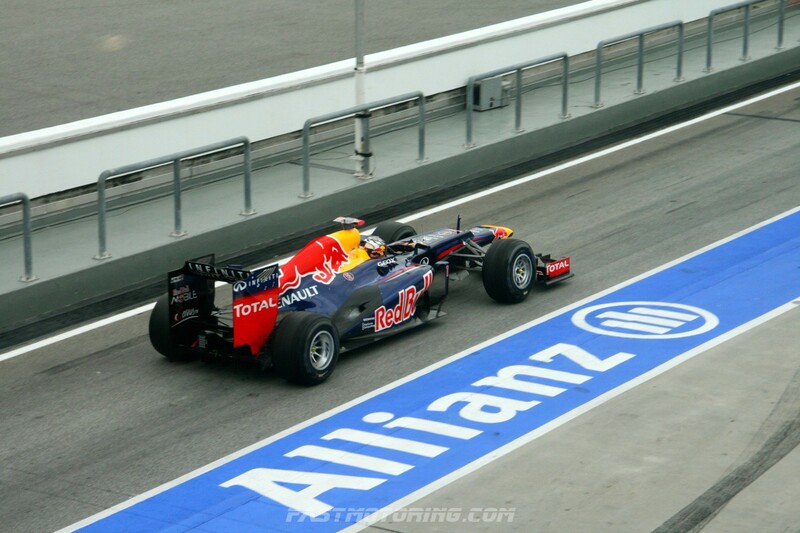 Red Bull Racing’s Mark Webber and Sebastian Vettel will start from fourth and fifth respectively. Michael Schumacher produced the best qualifying performance of his F1 comeback, while Sebastian Vettel chose to run the harder Pirelli tyre and will start fifth for Red Bull. 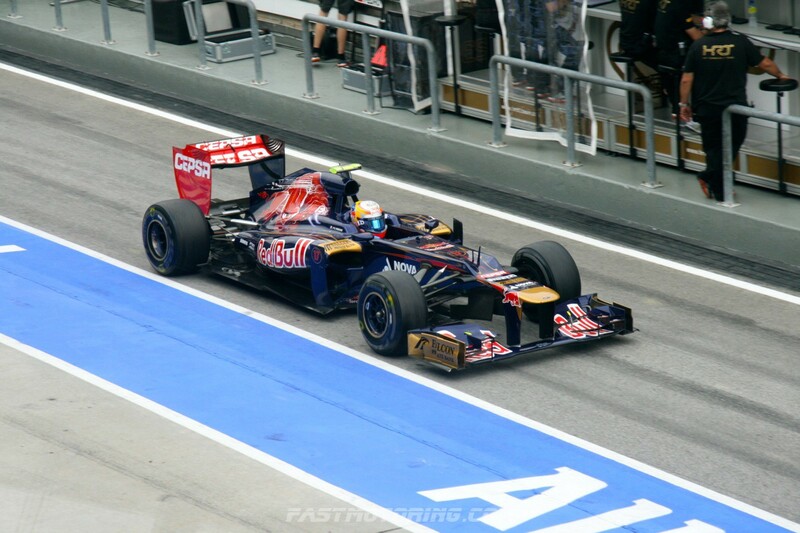 “Today went a bit better than we thought in terms of pace,” Webber said. 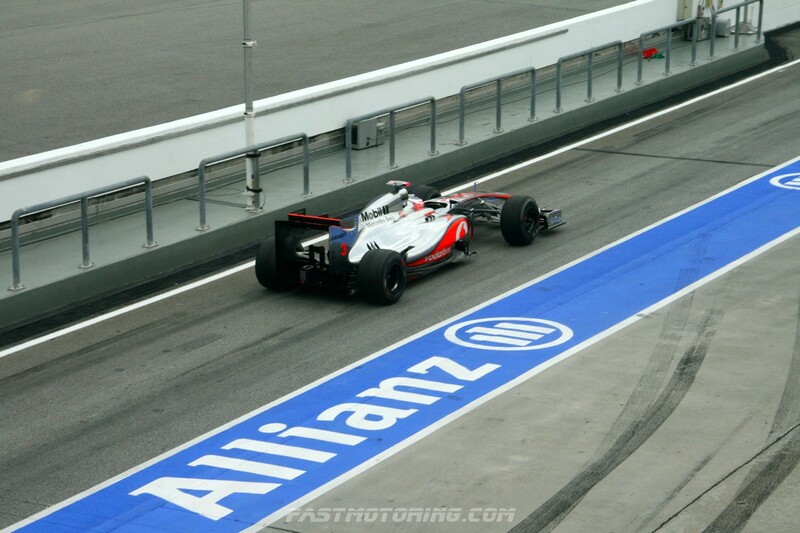 “We’re still not quick enough to challenge for the pole position, yet. 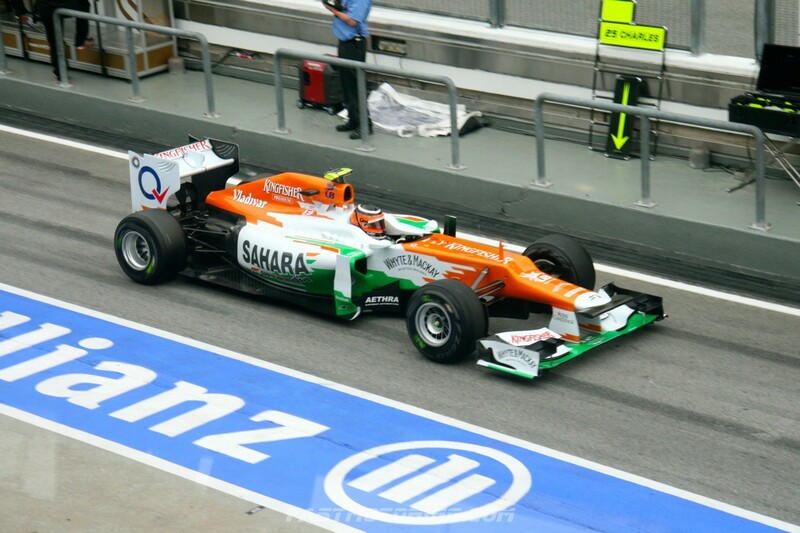 There are areas where we need to improve – straight-line speed and a few things like that – but in general we had a better showing here today and I think we’ll be better in the race tomorrow. 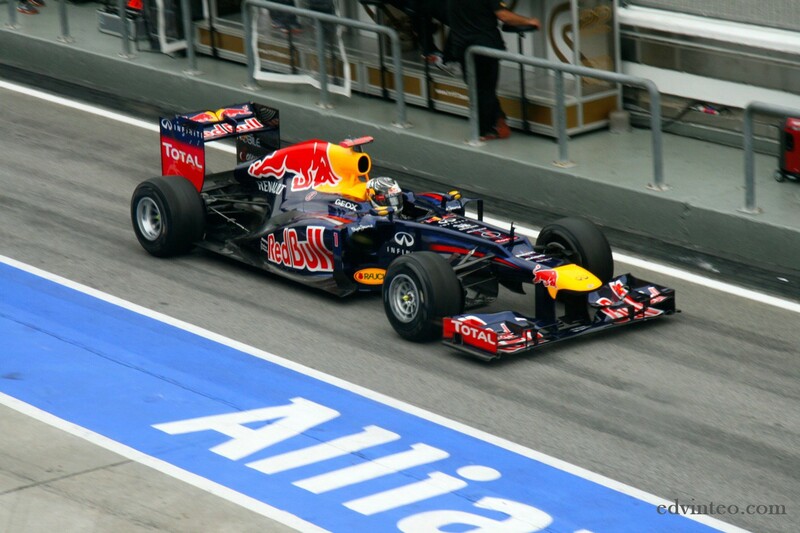 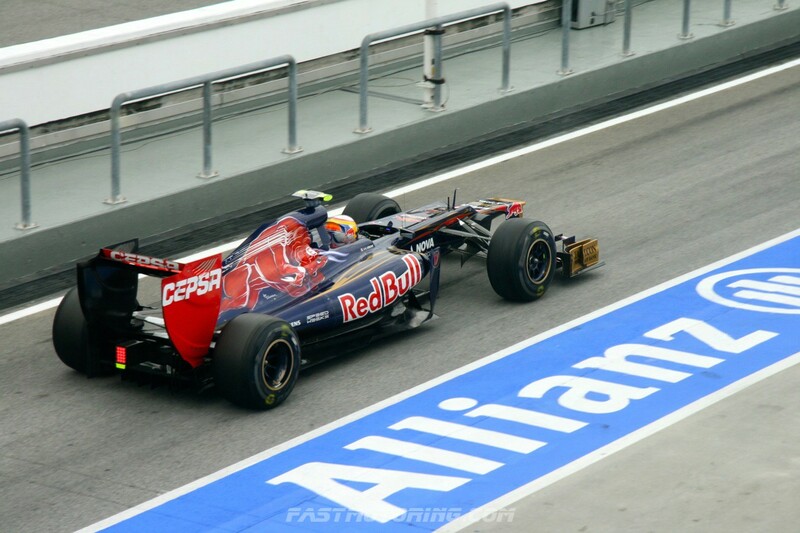 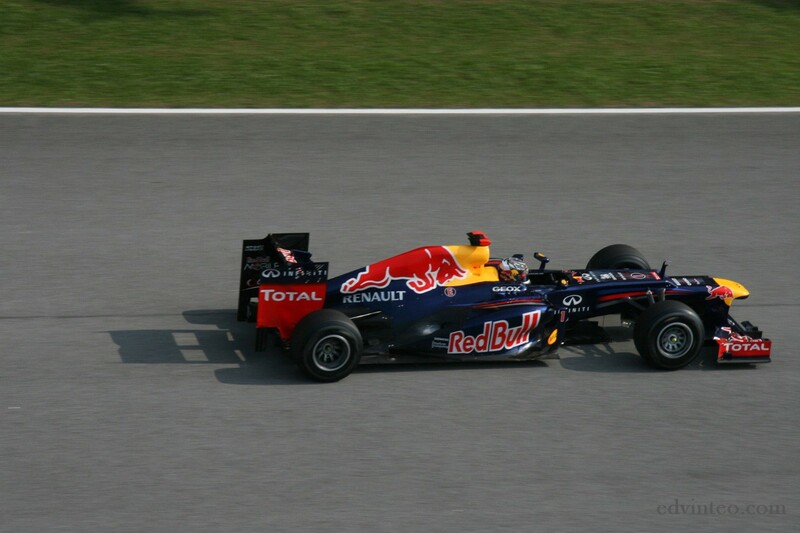 I am looking forward for tomorrow’s race and wishes best of luck to Red Bull Racing – Webber and Vettel.